Conferences are prime locations for exhibitors to gain leads and increase business. Although driving traffic to an exhibit is part of the equation, simply getting bodies to attend is not the pinnacle of a successful conference experience for an exhibitor. Vendors often use tactics such as drawings for giveaways, competitions, or other methods of reeling people in. These tend to be followed by a hard sell approach, which is likely to be a turn off for people. 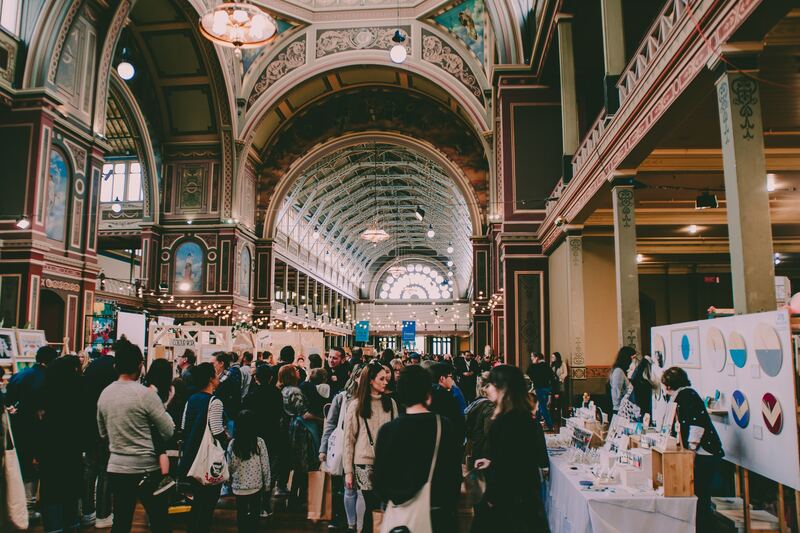 Exhibitors would be smart to be more strategic and purposeful in their actions to generate legitimate business leads, and come away from conferences with successful return on their investment. Preparation is the first step. Make use of technology prior to the event by using the Results at Hand event app to establish the company profile and logo. Also, include a profile and picture of the representative who will be attending that particular conference so that colleagues know who to look for. This sets up the exhibit as a known quantity and provides a level of familiarity that is appealing. Send out invitations to current and prospective clients. This can be as simple as an email to a contact within the organization, alerting him or her to your anticipated presence at the conference. Do your homework. Look up attendees via the conference app. Are there potential clients who you know are looking for a service or product that you can provide? Add these to your invite list. Keep the invite simple, friendly, and direct; you can also suggest setting up a time to meet while at the conference for prospective clients. Consider setting up a happy hour or VIP dinner, including current clients and colleagues as well as prospective leads. Conferences can be long and tiring; give people a chance to relax and unwind a little in a more social setting. Conversations between and with current and prospective clients can be a valuable tool to driving business; according to a study done by WOMMA, word of mouth is the most effective form of “social media” advertising. Make strategic use of the Results at Hand event management app while at the event. Lead retrieval tools are neat but only useful if you use them. Do the legwork ahead of time. Search the directory for your prime targets at the event and add them to your priority contact list. Then, as you engage with each contact, use the lead tool to capture their info. This will help you determine your ROI for the conference as well by keeping track of prospective targets as well as captured leads. Have fun – play the game. Most conferences offer a game that includes or focuses on the exhibitors, in an effort to drive traffic to the exhibitor floor. Make sure you are participating in the game with attendees via the Results at Hand app. Interact with prospects via technology as well as face to face for a more robust experience. Offer freebies, but of the useful variety: free demos. Swag is fun and can be a good way to draw people to your exhibit as long as it is purposeful. However, a demo of your product or service is an even better idea. Most people want to experiment with products or technology themselves before making a decision. Exhibitors who offer free hands-on demos can see greater success in gaining new business leads. With these tips in hand, exhibitors can ramp up their conference experience and make the most of their investment.